Though Diwali is an Indian festival, it is not limited to only India. Various other countries celebrate the festival with equal pomp and gaiety as Indians do. The ultimate essence of Diwali, i.e. the triumph of good over evil, is maintained throughout different places and time zones. Here are some countries of the world that celebrate Diwali. Mauritius boasts of a staggering 63% of its entire population to be of Indian origin, 80% of which follow Hinduism. 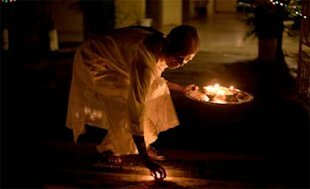 Therefore, Diwali is a festival of great significance in the island country. The festival is celebrated around the same time as in India. Beautifully lit earthen lamps are placed around the houses turning the island into a picturesque landscape. Sweets are specially prepared for the occasion and people of other religious and cultural beliefs also join the Hindu counterparts in the celebrations. 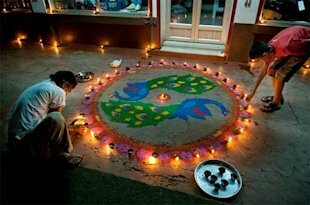 Diwali also symbolizes the arrival of the summer season in the country. Australia has an estimated population of 100,000 Indians settled there, with the majority of them being Hindus. 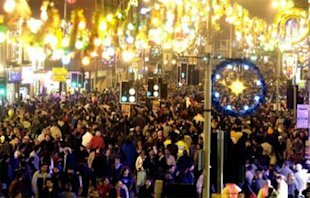 Diwali is quite a major festival in the country with large scale Diwali events, like carnivals and fairs, organized in cities such as Sydney and Melbourne. The events feature fireworks display, food stalls offering Diwali sweets and delicacies, musical performances and also burning the effigy of Ravana. In the land of the rising sun, Diwali signifies progress, happiness, longevity and prosperity. The festival is not celebrated in the same way as in our home country. 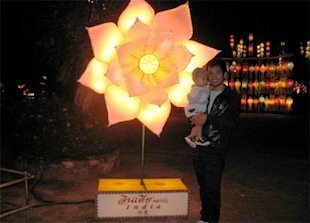 Instead of lighting their homes up, people go out to gardens and orchards and hang colorful lanterns and paper-made structures on the branches of trees. The places of worship are decorated with wallpapers so as to bring about a festive mood amongst those who celebrate the festival. Despite having only about 8% of its population belonging to Hindu community, Diwali is an important festival in Malaysia. Known as Hari Diwali, it is a public holiday in the country. The traditional ritual of oil bath begins the festival which includes prayers at household altars and visit to temples. 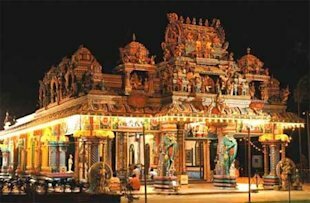 Temples are adorned with flowers and oil lamps while parades and concerts are organized in some of the major cities. Firecrackers are, however, banned in this country. 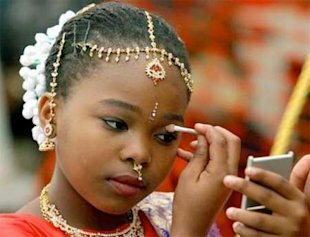 South Africa, a country which fought a long battle against apartheid, is home to the largest immigrant Indian population in the world. Most of the descendants of the immigrant Indians are settled in the KwaZulu Natal and Gauteng provinces and comprise about 65% of the entire population there. Most of them, reportedly, trace their origins to Uttar Pradesh, Tamil Nadu and Gujarat and the rituals are held in accordance with their communities, and in the same way as in India. Thailand is known to be a culturally rich country, hence a celebration of one of the most important festivals of the Hindus is an integral part of its itinerary. Here, Diwali is likened to ‘Lam Kriyongh’ which is also celebrated around the month of October/November. Here, the diyas are made of banana leaves instead, which hold candles, a coin and incense. 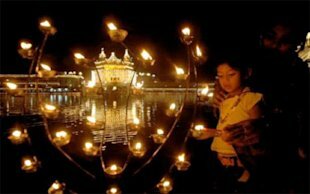 The diyas are then set afloat on a river which makes it quite a spectacular sight for the people to witness. In Nepal, Diwali is known as ‘Tihar‘ and is celebrated in a grand manner over a span of 5 days. During these 5 days, animals like cows, dogs and crows are worshipped apart from Goddess Lakshmi. The people of the Nepali community play ‘Deusi’ and ‘Bhailo’ in which boys and girls go singing and dancing to different houses, giving them blessings while the owner of the house gives them either food items or money. The festivities end with ‘Bhai Tika’ where sisters give tika (colored powder applied on the forehead) and a garland of flowers to their brothers, praying for the brother’s long life and prosperity. Singapore’s Diwali celebrations are amongst the brightest in the world, with a spectacular display of lights throughout different cities. Diwali is one festival that is celebrated irrespective of ethnicity or religion, in the country. 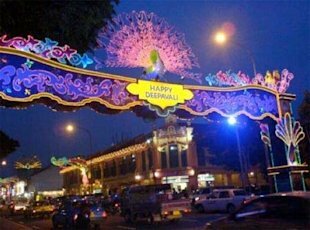 The place called “Little India” located in Serangoon Road, is fully covered with lights, colorful arches and garlands. Is is a custom to visit the temple to offer prayers and towards the evening, children and other grown ups go to open areas to light sparklers. Diwali holds a special place in the hearts of citizens of the Caribbean nation, with 43% of the population being of Indian origin. The day is officially declared as a public holiday and is looked at with much anticipation throughout the year. Celebrations of the festival begin 9 days in advance of the actual event. These 9 days are laced with dance performances, displays by Hindu religious sects, theatre, worship of Goddess Lakshmi and lighting of diyas. Areas having a strong Hindu population are decorated with blinding lights and the last day sees a spectacular display of fireworks. This entry was posted on October 28, 2011 at 12:44 PM	and is filed under India Forgotten. 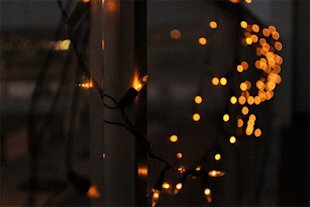 Tagged: Diwali, Hindu, hinduism, India, KwaZulu Natal, Malaysia, Mauritius, Public holidays in India, Ravana, Sikh, Tamil Nadu, Tihar, Uttar Pradesh. You can follow any responses to this entry through the RSS 2.0 feed. Both comments and pings are currently closed.